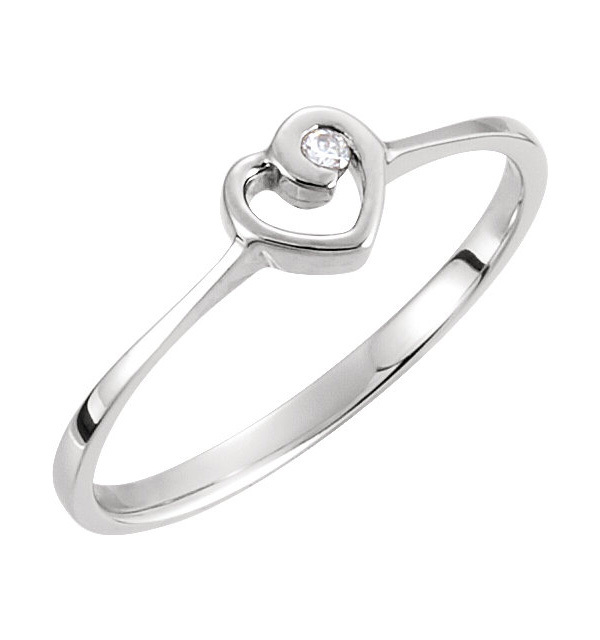 Give her that "falling in love" feeling all over again every time she wears this single diamond heart embrace ring from Apples of Gold Jewelry. Available in your choice of 10K, 14K, or 18K white gold, this ring has a thin and simple band, which turns into a small heart in the front. The open heart design has the appearance of embracing a diamond in the upper corner. The diamond is 0.02 carats, and is rated G-H for color and I1 for clarity. We guarantee our Single Diamond Heart Embrace Ring to be high quality, authentic jewelry, as described above.